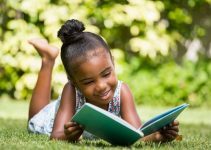 Little black girls have a whole host of options to choose from when they are deciding what curly hairstyle they want to wear. 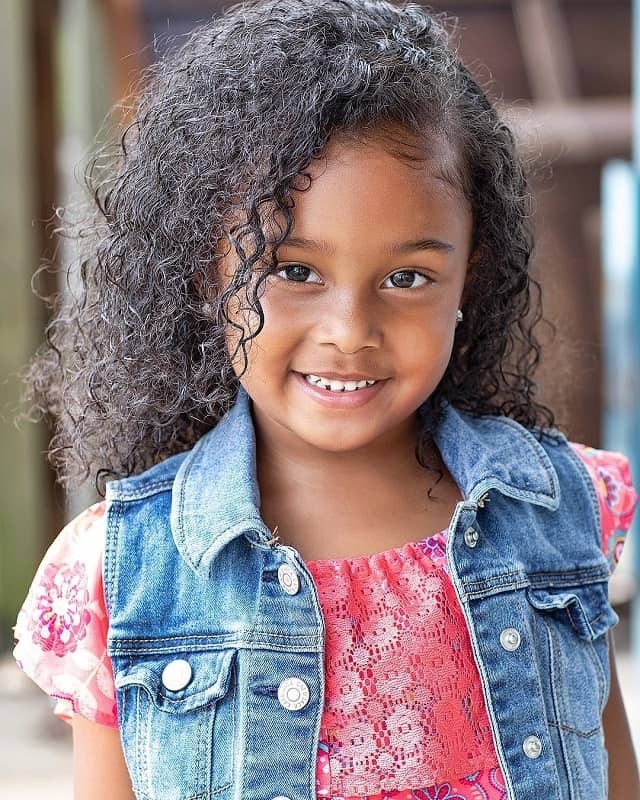 Any little girl who has natural curls will want to consider these great little black girl curly hairstyles to find the one that makes them look and feel their best. 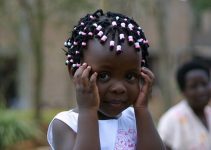 Keeping hair out of a little girl’s face is the best way to ensure that she can focus on her work or on her play. This mohawk style is a great way to showcase some smaller braids and to keep the bulk of the hair out of the way, which is perfect for a busy girl who is always on the go. Younger girls look great in buns, and these buns at the back of the head are perfectly shaped and keep hair from coming loose and looking messy. 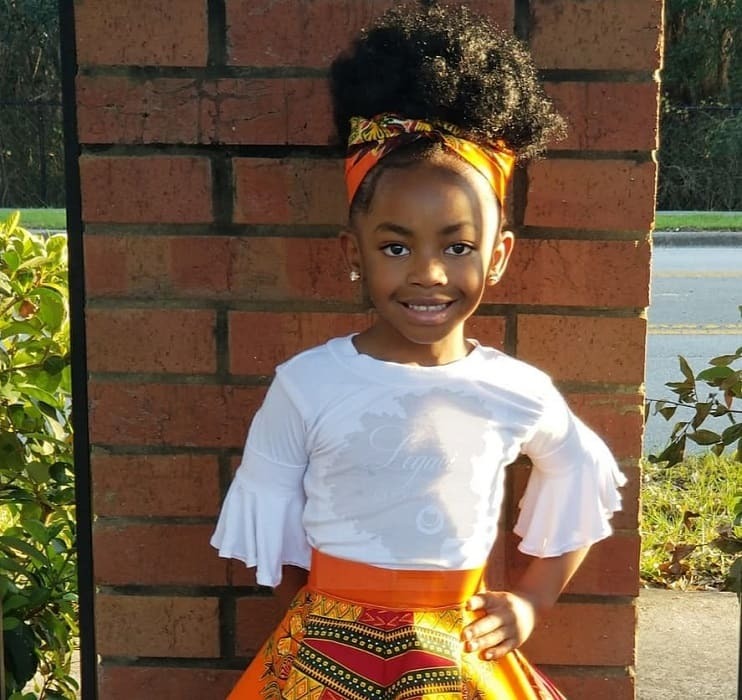 This little black girl’s curly hairstyle looks natural and can easily be accessorized with a cute clip, which is a great way for any girl to show off her personality and her likes and interests. 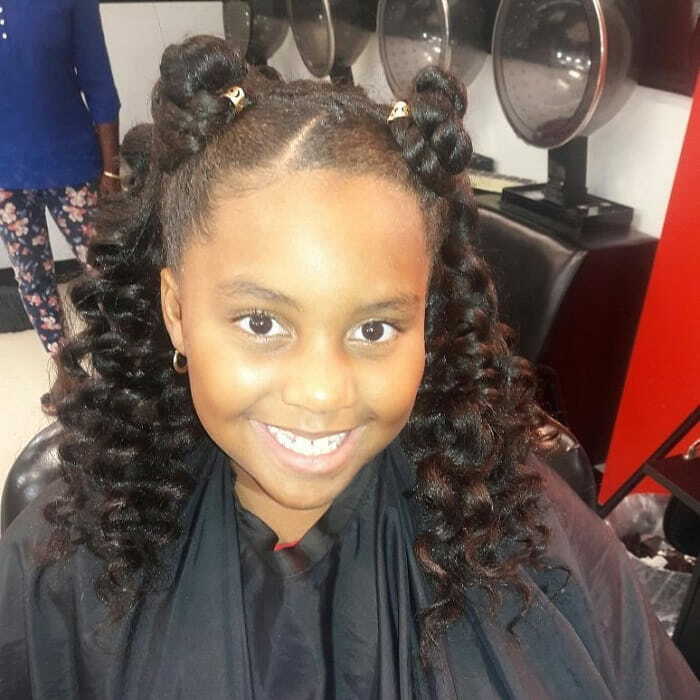 When girls are a little older and happy to sit for hairstyles and designs on the top of the head do double duty of not only keeping hair under control but also allowing a girl to express her personality and show off her style. These fun reverse twists culminate in a full bun on little black girls hair. 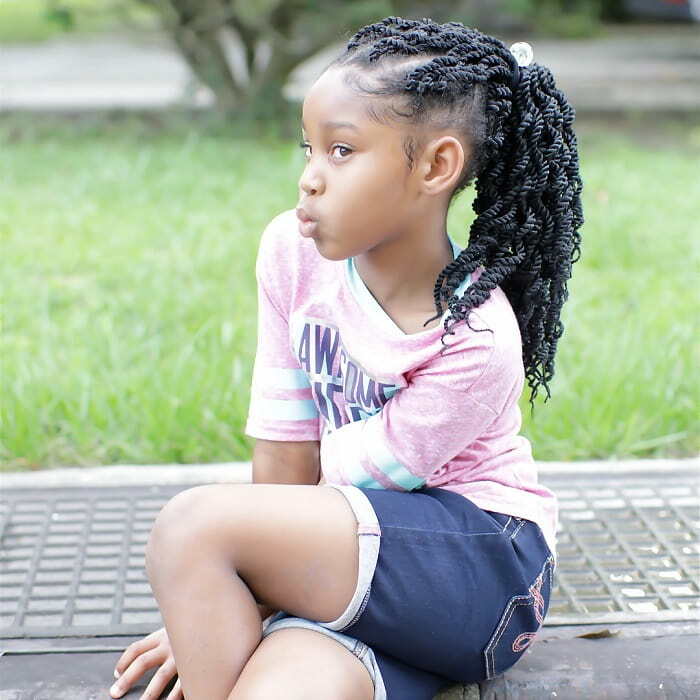 Little black girls who have long curly hair often love to show off their length, and a high top pony is a wonderful way to style long hair, without it looking too formal or becoming too uncomfortable. A great top ponytail can easily be finished with an elastic of any color, which means that girls can show off their favorite color or match their outfit. Girls who have thick hair and tend to be on the go a lot will appreciate having their hair swept away from their face and up and off of their neck. 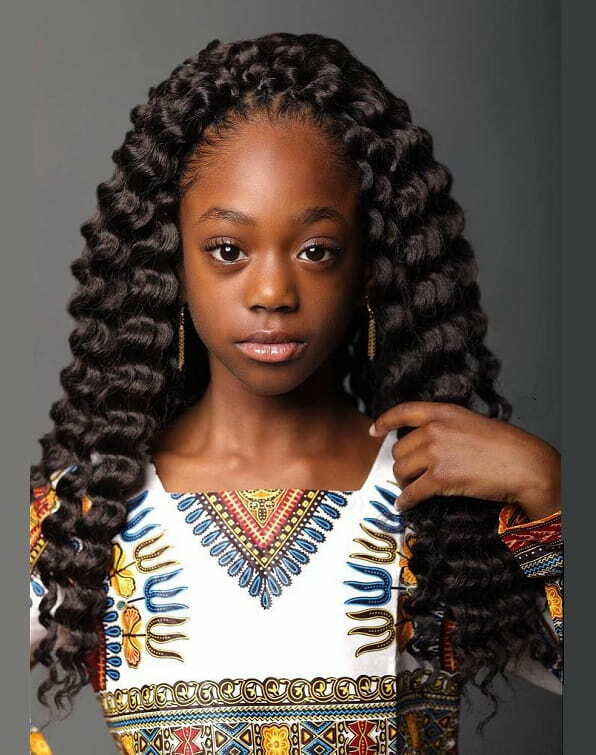 This hairstyle with a bandana is also great in any location where it gets hot during the summer and lets the black little girl with this curly hairstyle go from church or school to playing outside without slowing down. 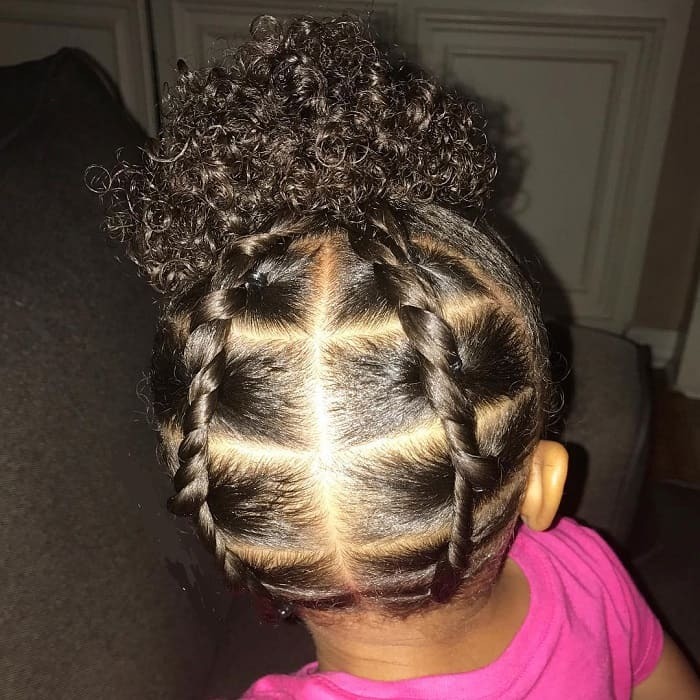 Thick and chunky twists let a little girl show off her personality and choose a hairstyle that really meets her needs. There’s nothing delicate about this hair, which makes them fun and easy to take care of. Pulling them back in a ponytail is a wonderful way to keep them out of the way during play. Girls who have long and flowing hair often want to wear it down without any embellishments. 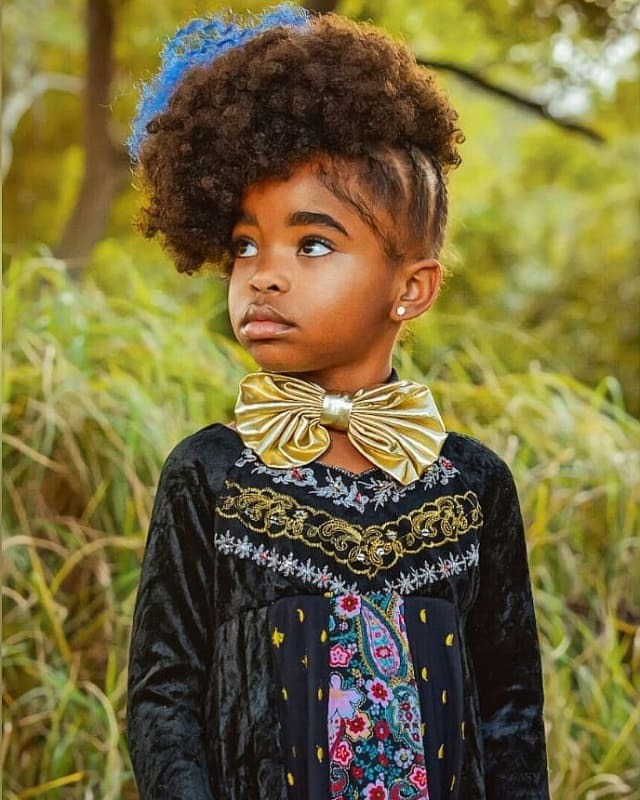 This black girl’s curly hairdo is classic and will make any little girl look mature. It’s perfect for wearing to church or to school but can get in the way of playing outside. The great thing is that it can easily be pulled back into a ponytail if the girl decides to. 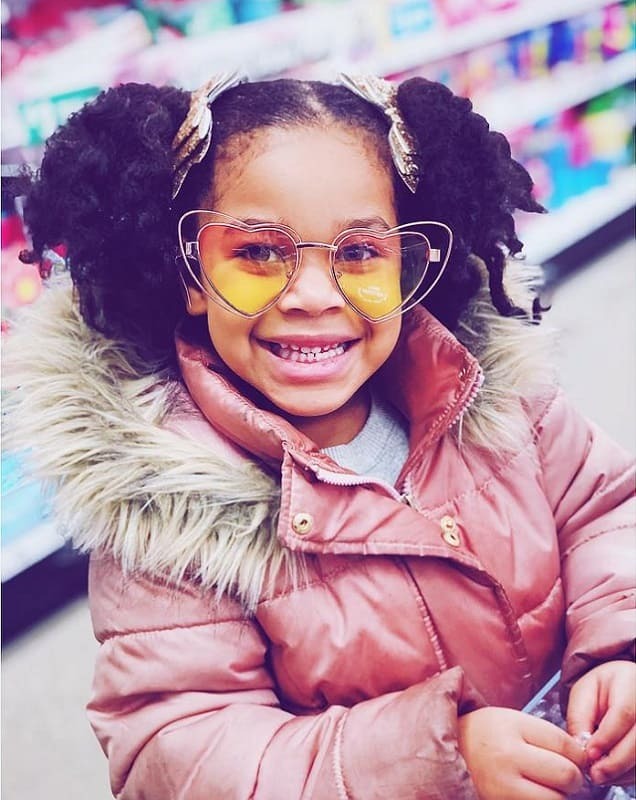 Curly hair is a gift that a lot of girls wish that they had, and curly-haired black little girls should embrace the way that their hair looks. Space bun is a great style for keeping the hair away from the face but allowing the curls to shine. This will make any little girl feel great. Allowing hair to fall naturally, even in front of the face can result in a very natural and relaxed look for any little girl. When the hair is full of volume and looks naturally healthy, then there isn’t any reason to try to pull it all back and hide its beauty. 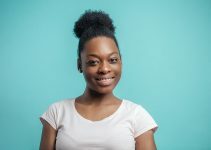 This natural curly hairstyle is easy for little black girls, as they can simply get dressed and go about their day without worrying about their hair. Girls who want to wear their long hair down, but need to control it a little bit, will love this low side ponytail style. This allows the volume and beauty of the hair to really shine, but also keeps it under control, which is great for girls on the go. It’s a wonderful way to showcase the natural texture and shine of the hair and is really easy to accessorize with a bright band. 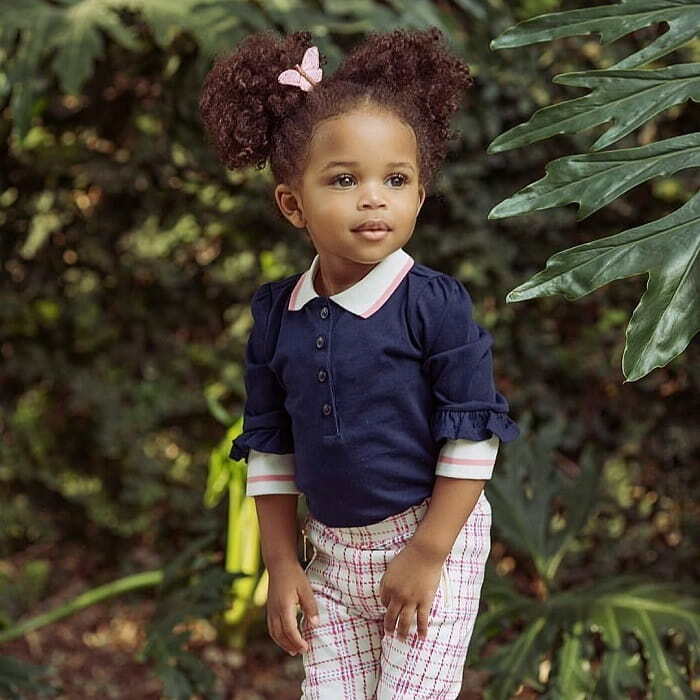 Cute pigtails are a classic curly hairdo for little black girls, and by putting them higher on the head, parents can make this style even cuter. Match elastics or clips in the pigtails complete the look and will help to hold the hair back. 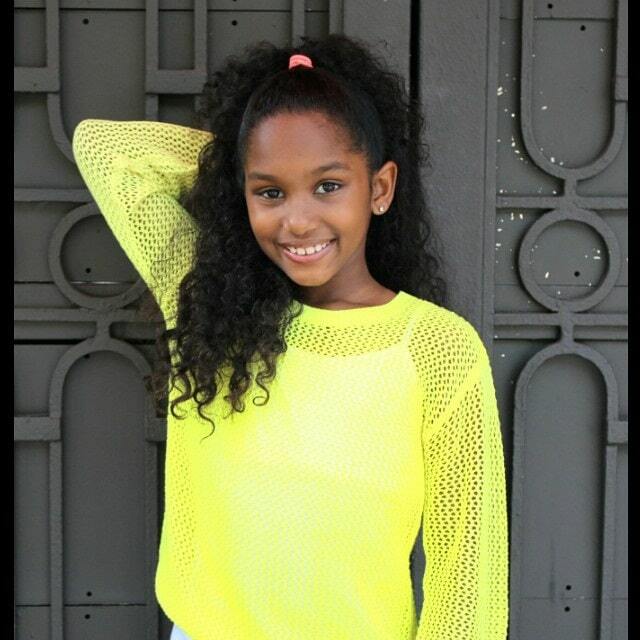 As you can see, there are some wonderful choices available for any girl looking for a little black girl curly hairstyles. 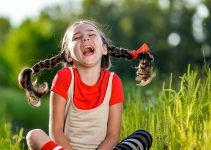 Any of these hairstyles are sure to give a girl a boost of confidence and keep her hair out of her face so that she can focus on playing and having fun.